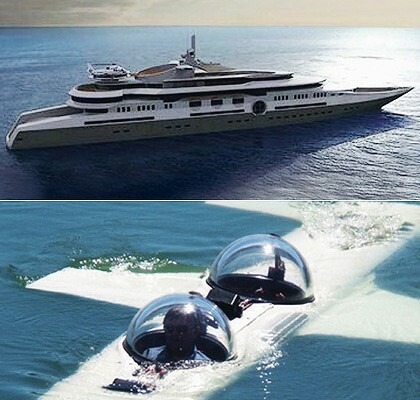 Russian billionaire installs anti-paparazzi lasers on super-yacht: “Russian billionaire Roman Abramovich has upgraded his new $US1.2 billion luxury yacht with an anti-paparazzi laser shield to protect his privacy while he’s cruising the high seas. The move has caused consternation among photographers, who claim they may have grounds for legal action. Abramovich, 42, installed the high-tech system on his Eclipse mega-yacht, which, measuring 170 metres, is the biggest and most expensive private yacht in the world.